(Breitbart) — An 18-year-old woman has been arrested following a car crash that she live streamed to Instagram which resulted in the death of her 14-year-old sister. 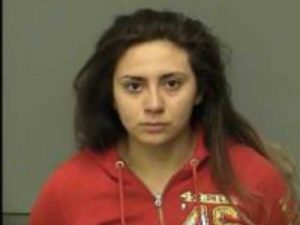 ABC30 reports that 18-year-old Obdulia Sanchez from Stockton, California, has been arrested under the suspicion of driving under the influence after Sanchez was involved in a car accident which took the life of her 14-year-old sister, Jacqueline Sanchez. The video, which was live streamed to Obdulia’s Instagram account, shows the moment that the car rolls over a fence and into a nearby field. Shortly afterwards, the body of Obdulia’s sister, Jacqueline, can be seen thrown across the floor and another girl in the car waving for help as Obdulia continues to talk to the camera.